Keep cool and look cool all at the same time with short sets by Pronti. Pronti makes mens casual fashion clothing that is designed for the well dressed man who has to have his style at it's best at all times. 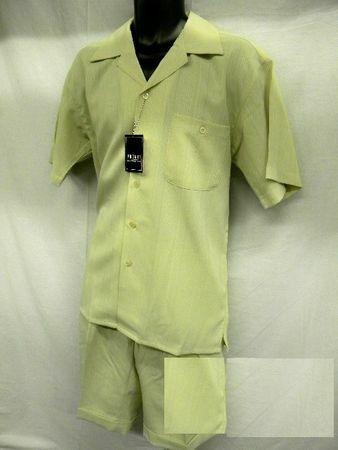 This tan color short set is made out of seersucker crinkle style fabric and comes with knee length baggy pleated shorts. Fabric is poly/rayon.